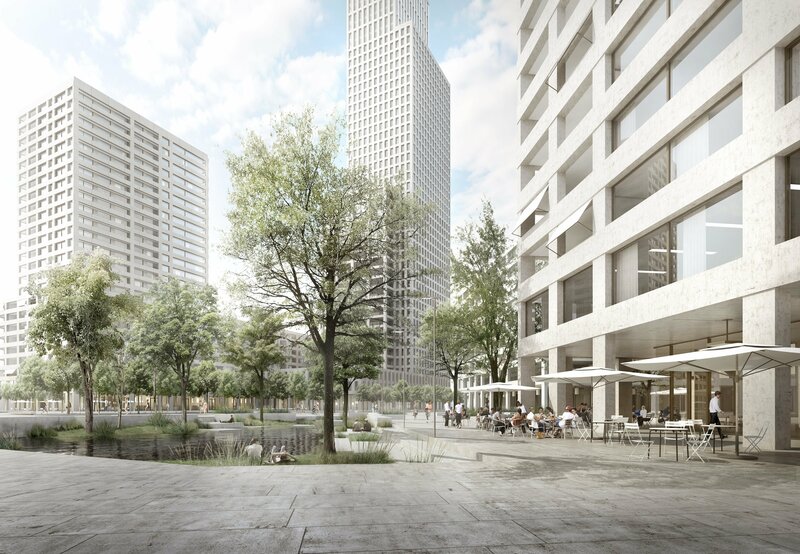 The site l’Etoile is the core element of the urban development Praille Acacias Vernets. This symbolic site of the PAV shall constitute one of the future focal points of the Geneva city area, close to the CEVA station Lancy – Pont-Rouge. ￼The project proposes 7 planning principles for its development, as well as a strategy enabling a stepwise implementation. 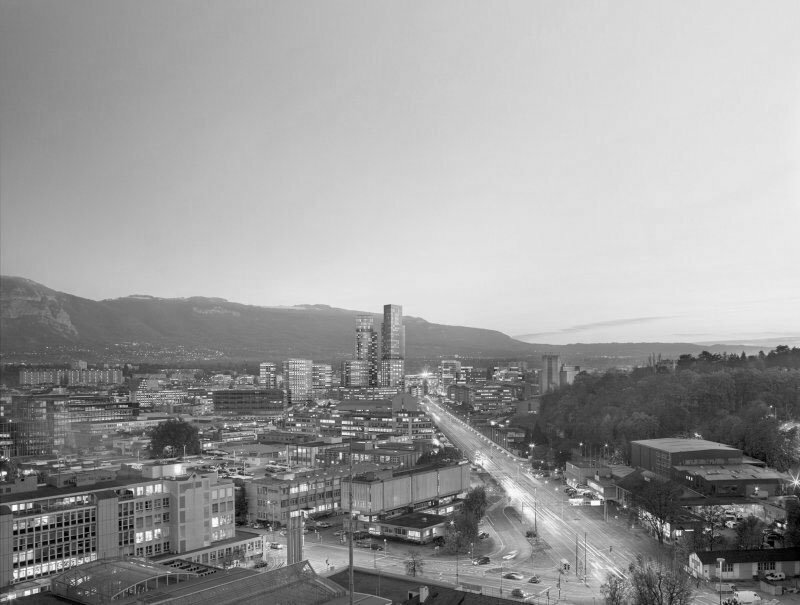 Three different heights, inspired by the planning history of Geneva, shall cohabit according to context. 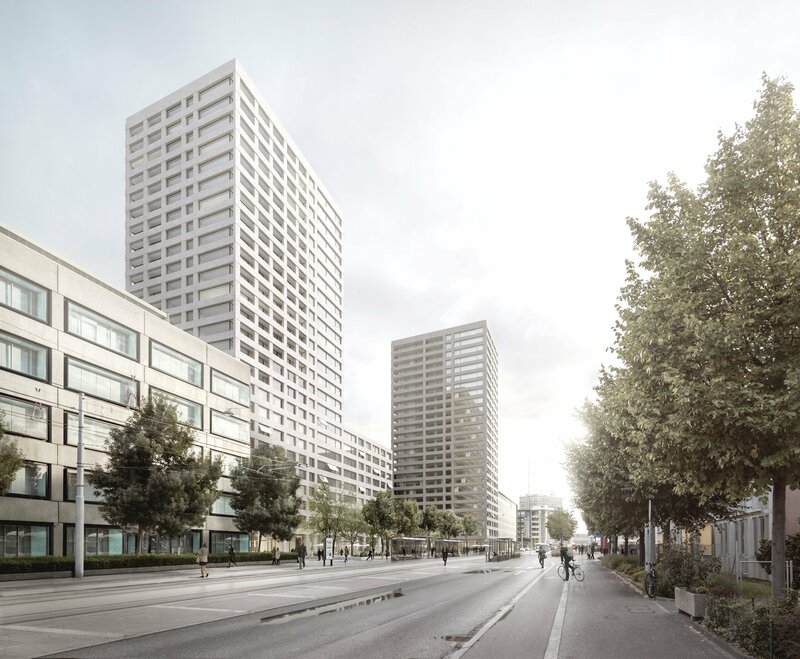 Buildings reaching up to 175m are proposed along the Jeunes road. They will represent a single exception inside the PAV district. 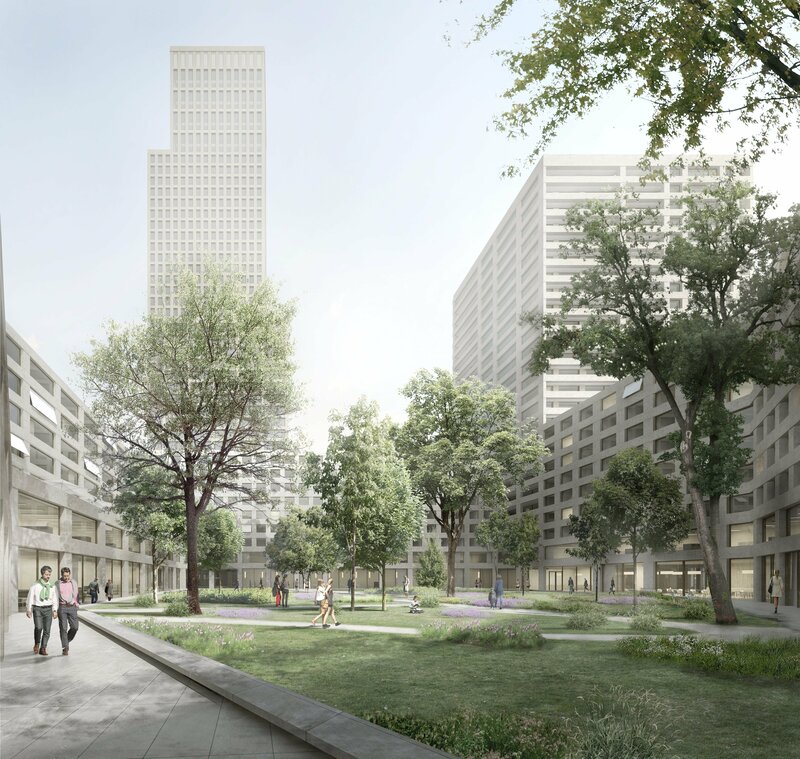 The project also follows the framework of Geneva volume scheme in offering four blocks, each one punctuated with a tower, which define built front lines and representative public spaces. 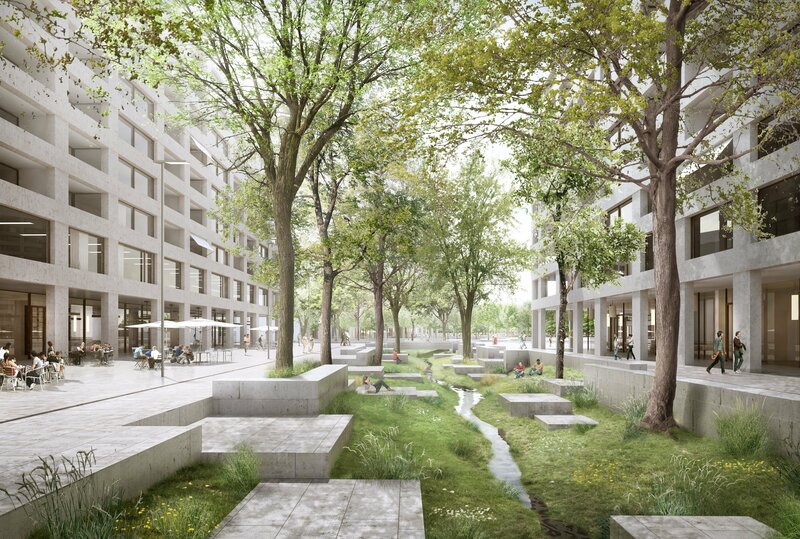 The green lane acts as the backbone of the project, linking the Arve river to the future La Praille park. 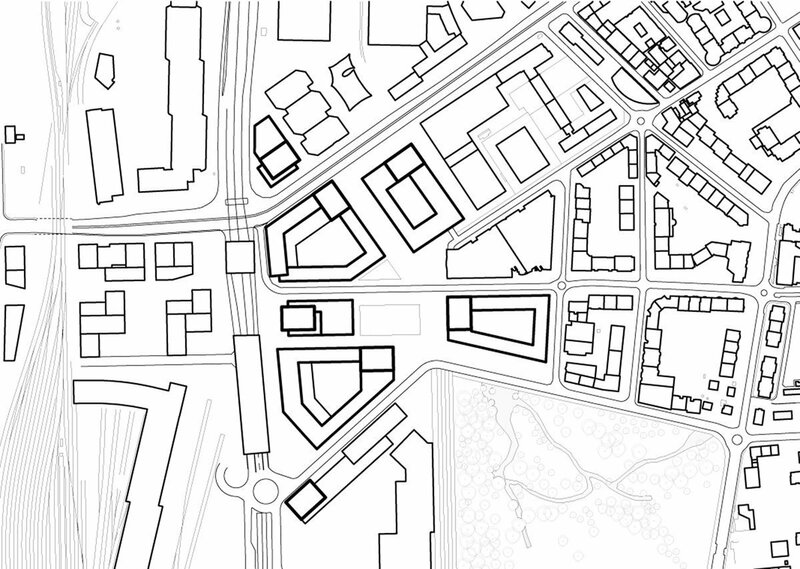 The l’Etoile square, heart of the new district, is situated at the intersection of this path dedicated to soft mobility and the La Praille avenue which connects Carouge with the Lancy – Pont-Rouge station. This high density project guarantees proper balance between the different parts of the program (housing, office space, community service and shops). The first stage focuses on the developments planned along the Acacias road and initiates the "knitting" process of the city with the construction of the first two blocks.